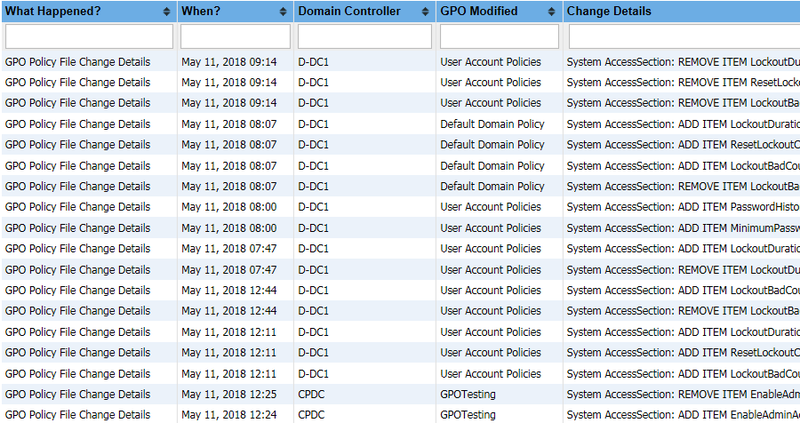 CPTRAX for Windows lets you easily perform real-time Group Policy Object auditing and mointoring. Audit group policy changes as they occur and quickly provide auditors with the GPO change details they need. CPTRAX will tell you the before and after values of GPO changes!